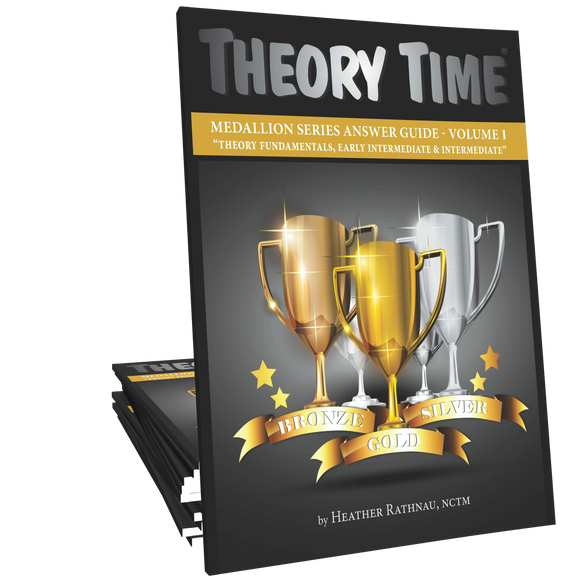 Theory Time Medallion Series Answer Guide Volume 1 contains the answers to the Bronze, Silver and Gold Medallion workbooks. 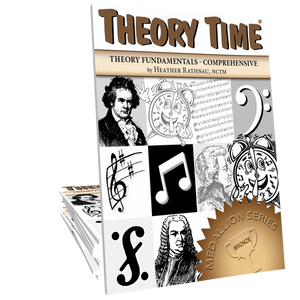 Ear Training drills / answers included as well as Ear Training Teaching Tips. This teacher answer book contains 68 pages. 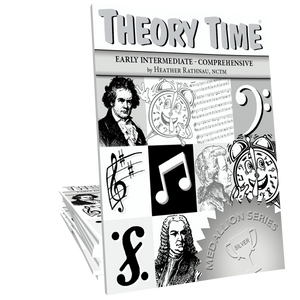 Just purchased the Medallion Series Answer Book and Theory Time looks like it's going to be great for some of my older students. Any teachers with less than perfect eyesight may find the pages difficult to read as the print is very small. You may want to try to enlarge them as much as possible to make them a bit easier to read.